The AVASYS® security management system is used for higher-level operation and control of various security subsystems, such as burglar alarms, entrance systems, fire detectors, intercoms, paging, public address/evacuation systems and much more. As a video management system, AVASYS® Video provides all the video functions for the system, including integrated video analysis and can be expanded to a full-featured, seamless security management system at any time. AVASYS® was developed to enable uniform, simple operation from a single operating station (GUI = Graphical User Interface) as well as to enable any desired automatic action between the integrated subsystems. AVASYS® was designed and has been further developed for use in large and ultra-large security systems with medium to high security risk. The objectives here are the highest level of availability, security and reliability, with the greatest possible flexibility and the simplest, most intuitive operation. The enormous number of system functions and diverse options for parameter configuration enable customized customer solutions. AVASYS® is tested and approved in accordance with ÖNORM (Austrian Standard) F3003. As a result, AVASYS® can be used in Austria to operate certified fire detection systems fully, not just display their messages. A single, uniform fire detector control panel is available for this purpose. A requested mutual lock of fire detector operation takes into account the exceptions listed in the standard. Unlike many systems on the market, the font size and coloring on AVASYS® is selected in order that standard compliance for VDU workstations is maintained even on the smallest recommended screen size. This ensures safe, low-fatigue work. AVASYS® is compliant with EN ISO 9241. AVASYS® Video allows enables management, control and archiving of diverse video sources, thus meeting all the requirements of a state-of-the-art video management system. AVASYS® is able to manage thousands of cameras at once. Thanks to a range of high-performance hardware, AVASYS® Video can handle multiple processes simultaneously (e.g. live monitoring of one camera / multiple cameras, evaluations, video retrieval, etc.) at different operating stations, without negatively impacting the entire system. Using algorithms, video sources can be monitored to detect covering, glare, rotation, etc. The video display in AVASYS® allows for videos to be switched on automatically in case of an alarm, defined sequences to be played back and cameras to be switched on manually. Furthermore, the video display supports all functions necessary for video management. Because of the various requirements for storing video sequences, all available image memory can be managed dynamically and divided into various segments that are treated differently for organizational purposes. These segments can have an array of properties (manual deletion; manual/automatic deletion; ring memory automatically overwritten) and can be freely assigned to various tasks (e.g. alarm memory, continuous recording, etc.). They can also be protected from access individually. The requirements for security personnel are constantly increasing. Often, security staff are responsible for wide areas with several buildings, multi-level buildings and sections of buildings. Fences at property limits also have to be kept in sight, as do parking lots, entrance areas and high-security areas. However, because security guards cannot be everywhere at once, they are usually aided by video cameras. In many cases, images from hundreds of cameras have to be viewed on numerous monitors. Due to space restrictions, a single monitor usually cannot display all images from all cameras, and even with sequencing runs, most cameras go unmonitored. In these cases, automated detection of movement in surveillance images (motion detection) is often insufficient, as these systems only detect the change in the content of the image, but cannot distinguish, for example, between people and animals. This results in a large number of false alarms, which in turn adds an unnecessary burden for the security staff. Intelligent sensors reduce this burden, providing an overall view and control. For these applications, PKE video analysis (VBPS) is ideal. Thanks to individually configurable settings, predefined objects are detected using sophisticated algorithms and, depending on requirements, reported to the security control system or ignored. 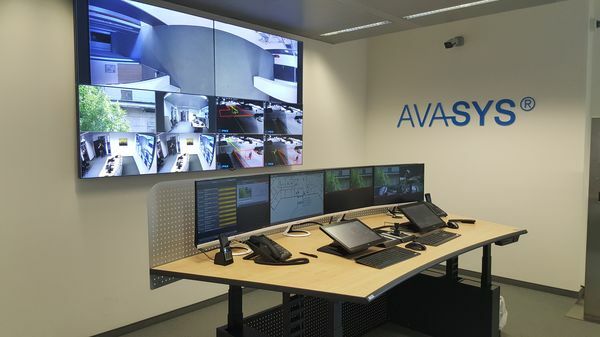 Seamless integration into the AVASYS® control center allows the cause of the alarm to be visualized at the operating stations immediately and the triggering sequence to be displayed automatically on an alarm monitor for control. The countless application areas of video analysis cover both the fields of security and safety. One real-world example would be an installation in a fully automated high-bay warehouse. Here, all processes are performed quickly and efficiently by robots. The presence of people (except for repair and maintenance work) is not only unnecessary, it can also be extremely dangerous to enter robot range of action unsupervised. If a person is detected in these areas, an emergency shut-down must be triggered immediately. Due to the constant movement of the machines, this cannot be done with conventional motion sensors or video-based motion detection. Because the algorithms are not designed for motion detection alone, but also for object detection and identification, the PKE system can differentiate between people and machines and initiate the appropriate action in a split second. The digital DHS-X holding cell intercom is a digital system for intelligent holding cell monitoring with a modular and scalable hardware and software design for use in prisons. The DHS-X system enables voice communication between the holding cells and the assigned offices, playback of music programs, differentiation of normal and priority calls, collective and group announcements, diverse alarm, sabotage and display functions and operation specially optimized for prisons. An extremely flexible combination of the newest technologies and network engineering allows the system to be adapted to nearly all communication requirements. It can be connected to the higher-level PKE security management system (AVASYS®) and to subsystems such as burglar alarm systems, fire detection systems, entrance management systems and more. The operator experiences a system that is convenient to use with divisions into distinct hierarchies and which can display a clear status for each area of responsibility at any time. The system provides every operator with options and functions which they can and may use according to their respective tasks. The individual DHS-X hardware system components, i.e. holding cell terminals, operating stations, intercom terminals and the central server, are connected using network technology. This, along with the flexible, customizable configuration options, ensures the highest degree of design freedom for the system architecture. As a result, project-specific or customer-specific requirements can be implemented with precision. AVASYS® offers the building blocks for modeling your security philosophy, which can be combined into a customer-specific access concept by the customer in collaboration with PKE. PKE also offers corresponding consulting for the optimal use of all AVASYS® functions involving access for your company. AVASYS® access offers all functions that are expected from a state-of-the-art entrance management system. In doing so, PKE AVASYS® utilizes the full integration of all access functions in the basic version of AVASYS®. AVASYS® access is developed by PKE entirely in-house and is independent from the functional cores of third-party providers. Online, offline and wireless systems are all supported. Multi-client capability allows a system to be operated so that multiple user groups (clients, e.g. multiple companies in a shared property) only have access to the specific part of the system used by them. Despite this versatility, it is still a unified, whole system. Special solutions allow a part of the system (e.g. common main entrances) to be used by multiple or all clients jointly. The data structure of the PKE entrance management system is designed so that options for defining client rights can be adapted to most customer requirements. PKE offers the option of integrating cameras from all major manufacturers (Axis, Bosch, Sony, etc.) into its video management system (AVASYS® video) and managing them using standardized interfaces (e.g. ONVIF). 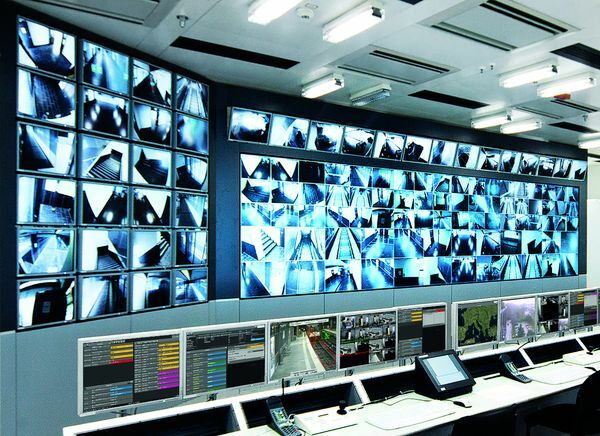 Connected to a video analysis system developed in-house, even the highest safety requirements for a modern video monitoring system can be covered and fulfilled as a result. 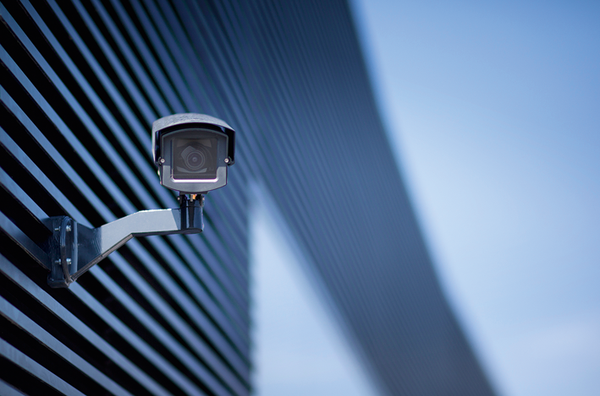 PKE is certified to install burglar alarm systems and has the expertise to construct systems for the highest security requirements (including information security for handling confidential data and information). Our fully trained employees specialize in the planning, installation and maintenance of alarm systems and receive training to remain up to date with the latest developments in the industry. PKE offers the option of integrating alarm systems from all major manufacturers (ABI, Bosch, Siemens, etc.) into its security management system (AVASYS®) and controlling them using deeply integrated interfaces. As a result, even the highest security requirements for modern burglar alarm systems can be covered and fulfilled. PKE is certified to install fire detection systems and has the expertise to construct systems for the highest safety requirements. Our fully trained employees specialize in the planning, installation and maintenance of systems and receive training to remain up to date with the latest developments in the industry. PKE offers the option of integrating fire detection systems of all major manufacturers (Bosch, Siemens, Schrack/Hekatron, Esser, Zettler, etc.) into its security management system (AVASYS®) and controlling them using deeply integrated interfaces. Standard F3003 is fulfilled for this purpose in Austria. As a result, even the most stringent security requirements for modern fire detection systems can be covered and fulfilled. PKE is certified to install public address and evacuation systems in accordance with EN 54-16 and EN60849 and has the expertise to construct systems for the strictest security requirements. Our fully trained employees specialize in the planning, installation and maintenance of systems and receive training to remain up to date with the latest developments in the industry. PKE offers the option of integrating systems from all major manufacturers into its security management system (AVASYS®) and controlling them using deeply integrated interfaces. As a result, even the most stringent security requirements for modern fire detection systems can be covered and fulfilled. Our experienced specialists have been developing software-supported solutions for production and process visualization in logistics since 1999. Globally active logistics specialists across Europe trust our solutions for visualizing, analyzing and documenting dynamic processes and their interfaces between humans and machines. Our software tracks all of the paths of your goods automatically. We call the products we have developed "Visual Location Management Systems" (VLMS). They visualize, analyze and document your logistics processes in real time. We have achieved this by integrating meaningful image data with process data, status data and position information. The right information is therefore always available for you immediately for shipment tracking. With our systems, viewing the location and condition of a package and the course it has taken while in the warehouse takes just a few clicks.